Pest description and damage These are large aphids, up to 0.2 inch long. Their color may range from gray to brownish to dark. 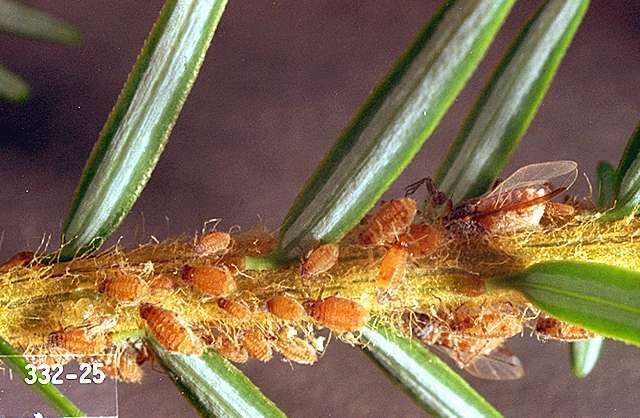 Aphids establish large colonies on the twigs but rarely are found feeding on leaf scales. 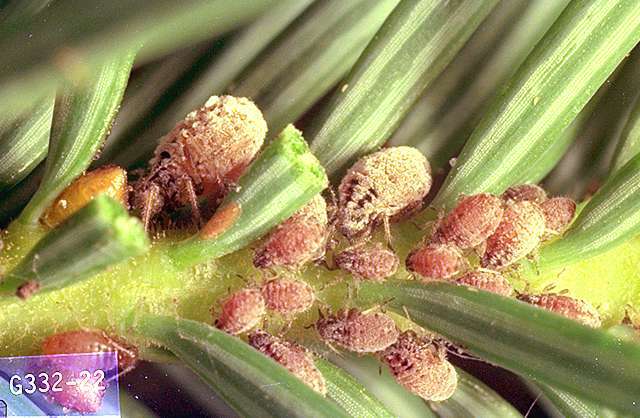 Their feeding and honeydew production can cause sooty mold problems on foliage and nearby surfaces and reduce the ability of plants to produce sugars.